Since the late 1950s, the artist Falcon Hildred has pursued a unique personal project to make a visual record of the buildings of a disappearing industrial culture, of what he calls ‘worktown’. His meticulous and often highly evocative drawings capture vital information about townscapes, mills, factories, quarries, bridges, workers’ houses, libraries, chapels and many other sites and buildings, conjuring the industrial age in all its grimy vitality. Born in Grimsby in 1935, Falcon Hildred attended art schools in Coventry and Birmingham and the Royal College of Art. In south London, Coventry, Newcastle, Newport, Cardiff, Merthyr Tydfil, Blaenau Ffestiniog and elsewhere he has observed old industries collapsing, long-established communities being replaced by mass housing schemes and ambitious urban redevelopment taking hold. He could do little to halt this march, but he could at least ensure that monuments to people’s daily lives did not disappear without some record being made. 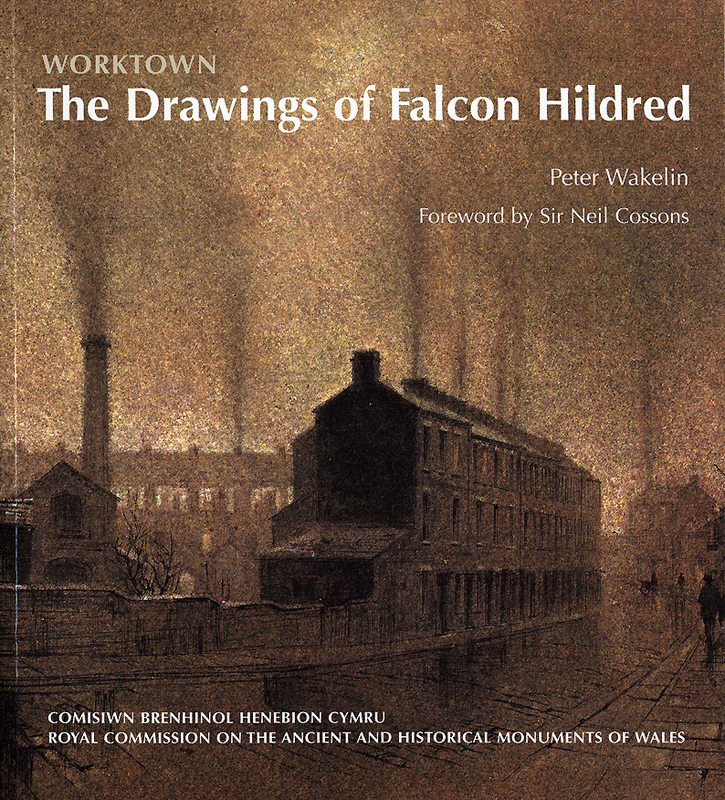 This book surveys the artist’s full career, bringing together some 200 images selected from the collections of the Royal Commission on the Ancient and Historical Monuments of Wales, Newport Museum and Art Gallery and the Ironbridge Gorge Museum Trust.